No matter how many packing lists I create, there always seems to be something I forget to pack that I miss. 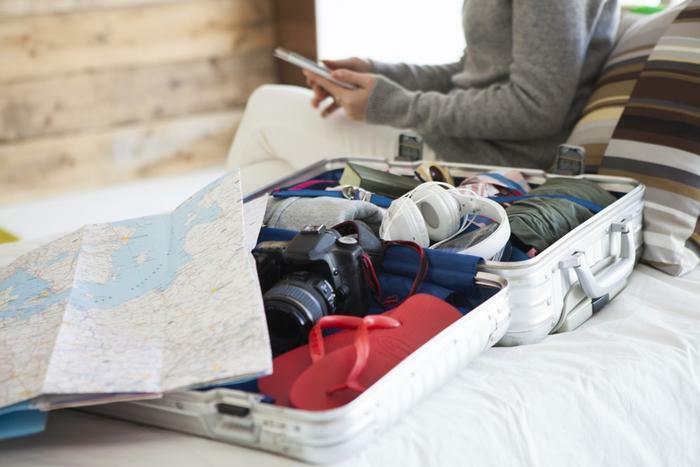 It’s rarely anything essential, but often something that would have made me more comfortable – if I had remembered to pack it in the first place. Flashlight: There isn’t enough room to pack a full-size flashlight, and your cell phone (should you have service) may not always provide enough light. While staying onsite in the national parks, it was so dark walking to our accommodations after dinner that we needed a bright light to guide our way. Back home I ordered small lightweight flashlights online. Waterproof shoes: I’m guilty of this to this day. I love wearing my Keene sandal/sneakers. They have a thick sole and I’m comfortable walking the entire day. As a bonus, they are washable and dry quickly, helpful when I stepped in you know what. But they get very wet in a heavy rainstorm, so when the weather forecast is cold and rainy, I pack a more reliable pair. Fleece It doesn’t matter my destination, Alaska or the Caribbean, I need a fleece. Each time I failed to pack one, I miss it the entire trip. Extra pair of reading glasses: You would have thought I would have learned after leaving my prescription glasses on the train. Three weeks later I left my prescription glasses on my bedside table. I now have three pairs of extra glasses and will never leave home without one. Ear plugs: They don’t cancel all the noise out, but they are helpful when trying to sleep. I went to a wedding once where the music was too loud to carry on a conversation. A tablemate who worked at the airport handed out ear plugs. They are especially nice and I carry them as extras in my emergency kit. Comfortable pants for lounging: They might be your exercise pants or even a pair of flannel pajama bottoms, but it helps to have something to relax in after a busy day. Colorful ribbon or band for suitcase: We had difficulty locating a suitcase at a cruise terminal and found it later in a different area of the terminal. I now keep a wide colored ribbon on the handle of each suitcase so it’s easier to spot. Bathrobe: Whenever I’m trying to save space and travel without one, I miss it. Buy and pack a lightweight bathrobe and you’ll always be covered. Waterproof hat: I bought one for Alaska and hardly wore it. On my last trip I needed one and had to buy another. One of these hats is destined for all future trips; they’ll double as a sunhat. Lightweight insulated gloves: When I use an item for both home and travel I find it is easy to forget when it is stored elsewhere in the house. I bought a second pair on a recent trip and this pair will be stored with my travel things. You’ll have your own list of forgotten items. Make a written note so you won’t forget them again.